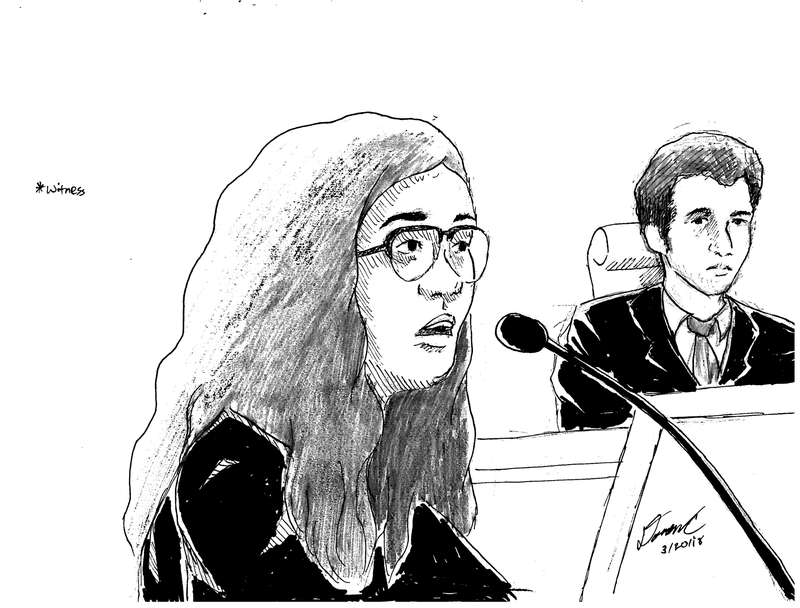 Darren Caldwell, a senior at Notre Dame High School, served as a sketch artist during his school's recent High School Mock Trial Semi-Final match against John F. Kennedy High School. 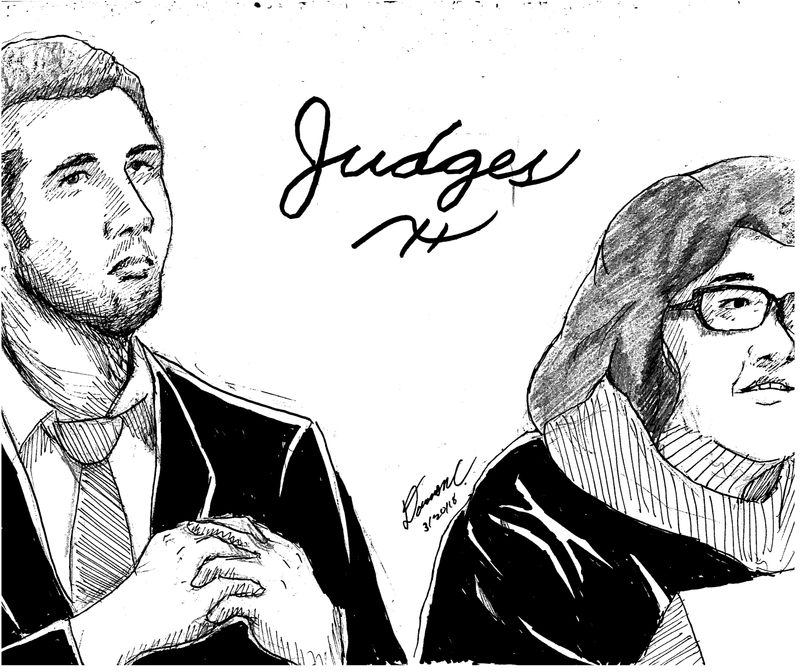 While cameras are generally prohibited in federal trial courtrooms, rules do allow sketch artists to depict court proceedings. 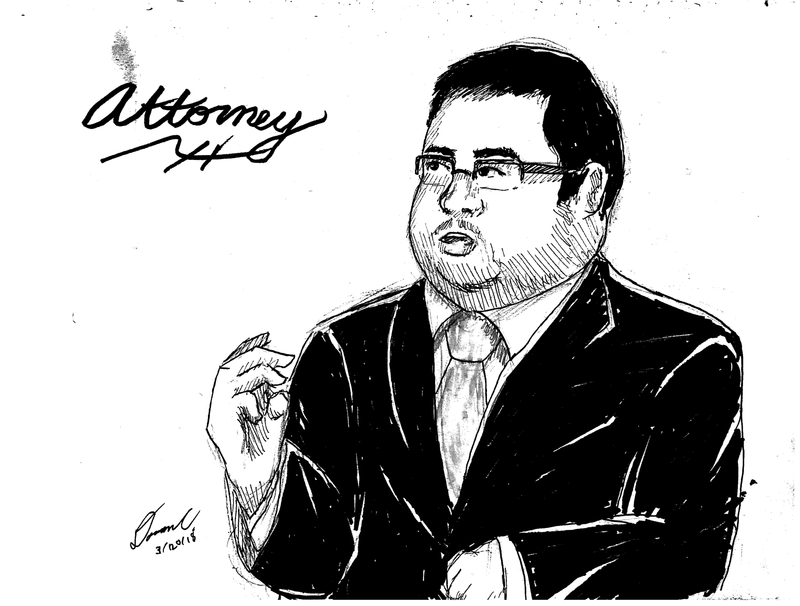 We hope Mr. Caldwell has the opportunity to use his artistic talent in Guam's courtrooms in the near future! Images courtesy of Darren Caldwell and Notre Dame High School, Inc.